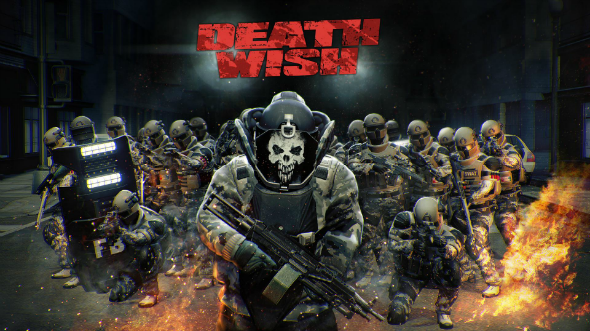 Yesterday the PC version of the popular game got free Payday 2 DLC, titled Death Wish. The add-on includes a totally new difficulty level for the veterans of the shooter's co-op mode. According to the developers from Overkill Software company, no one knows exactly what the players will face with during each robbery in the Payday 2 DLC. They will encounter new buildings and objects, the bridges will be destroyed, and using the wrong ingredients while preparing the meth will lead to the point of no return. Besides the new difficulty level, Payday 2 DLC will add a few types of enemies to the game. The elite military forces of GENSEC and Bulldozer have some great equipment and weapon. They are able to vanish any of the bank robbers in a split second. However there’s more to come. In addition to the points, listed above, Payday 2 DLC contains several new rewards, free “350K” brass knuckles, four masks and 35 achievements. Currently the launch date of the Payday 2 DLC for PS3 and Xbox 360 is unknown. Let us remind you that the previous game’s add-on, titled Infamy, was delivered in the late January 2014. The developers have also stated that they plan to support the Payday 2 game with new additional content for quite a long time. And it’s not a surprise, if we take into account the success of the shooter, which has been achieved since the moment of its release - August 2013.